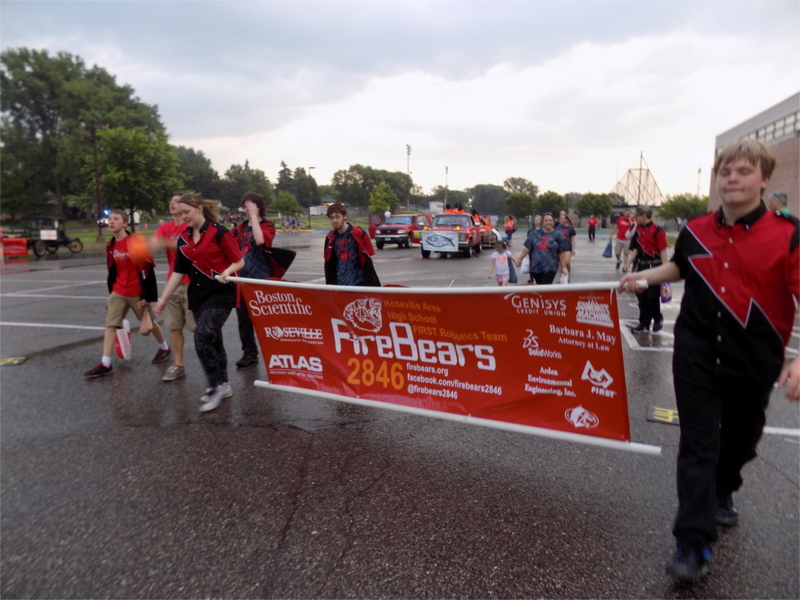 On June 29th, the FireBears participated in the RoseFest Parade. The parade, which is part of an annual festival in the city of Roseville, is an annual tradition for the robotics team. This year however, the team marched in the parade without their beloved robot. This year, the parade was delayed due to weather. The parade was able to continue, but the streets were still filled with water, and putting the robots through the puddle filled streets would have fried the electronics. It’s a good thing that there hasn’t been a water game yet.